This is Camino Magic: we are suddenly 2km closer to Santiago! Albergue A Nave is about 500m before the old way marker with the kilometric point 74,622, and Albergue Ponte Ferreira is about 300m after it; now, with the new marking, they are respectively on kilometric point 73,175 and about 110m after kilometric point 72,528. 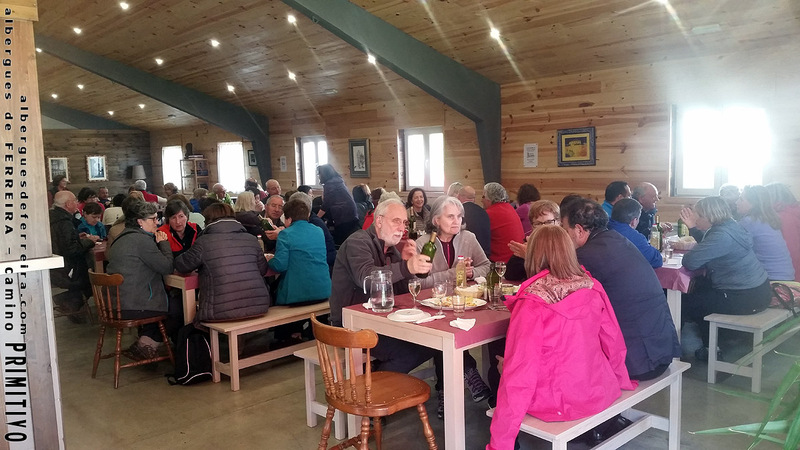 If you are following our blog from the beginining you might remember that the Association ADAYEUS shared a meal with us in 2014, in Albergue Ponte Ferreira. You can see the entry we did for it in our blog, in este enlace. That day they had ended a stage of their Primitive Way. They are currently doing the French Way on weekend stages, so we were very surprised to get their call asking if they could end one of their stages, near Palas de Rei, by driving to Ferreira in their bus to have a paella with us! It would be on April 1st, our 2017 season opening day. We said we would be pleased to have them back, but this time it would have to be in Albergue A Nave, as the other albergue, besides still being closed, was not big enough to host the 55 of them. We hope you enjoyed your time with us this time again. See you soon! 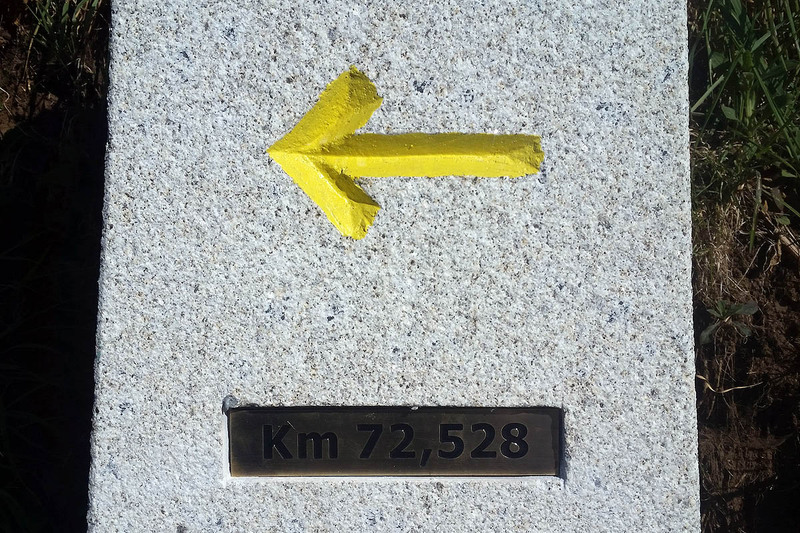 We are fed up and angry of listening how pilgrims are fooled, because of economic or commercial interests, by people that have no respect for what the Camino is and means. 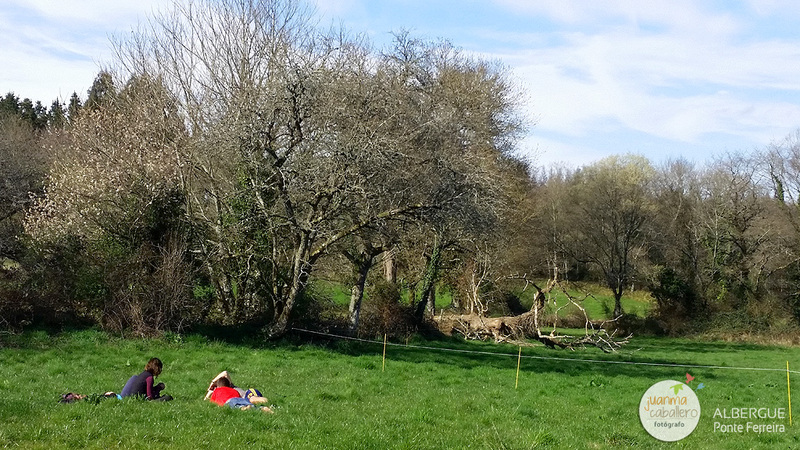 Last year we found how pilgrims were being missinformed, somewhere between Lugo and our albergue, that Ponte Ferreira was closed (being as it was the middle of the season! ), so we started informing, in our blog and in our facebook site, that we were open every day, without exception, during the whole season. Today we have been informed by a pilgrim, surprised as he was for having been able to stop at our place for a sandwich and something to drink before continuing his Camino, that he had been told yesterday in Lugo that in our albergue no food was served (or any services given) to pilgrims not staying with us for the night. And of course, this couldn’t be more incorrect! 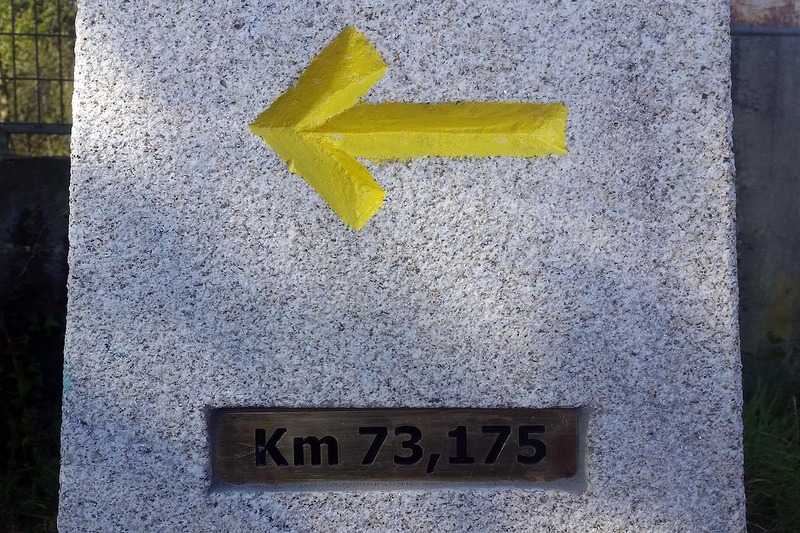 We want to use this post to ask hospitaleros of other albergues, owners and employees of bars, cafes, restaurants and other places along the Camino, that if they do not know the answer to a question made by a pilgrim, they just answer that they do not know, and do not missinform him, due to ignorance or bad will. And we ask you, pilgrim, that if you are given information that you consider to be a little strange, do not just believe it; instead, call or email the place and ask them directly, as they are the best ones to give you the information you are looking for. It’s just too often that pilgrims walk passed our albergue and are shocked to see that we are open; they tell us that they would have stayed with us but they had been informed that we were closed, for which they stayed in the previous albergue, when ours would have been much more convenient for them because of its distance from Lugo. We never missinform pilgrims! If we do not know the answer to a question, we suggest he/she calls the place and finds out by him/herself; we even sometimes call to find out for him/her! As an example of this bad practice in the Camino, let us tell you something: we sometimes inform some pilgrims (if the circumstances demad so) that the next bar, a few km ahead, is closed on Thrusdays; sometimes they look at us a little suspiciously, as if they believe that we are lying to them so they purchase something to eat or drink from us; more than one pilgrim in such case has continued his Camino, expecting to get some food or drink there, and must have found that we were not lying. If there weren’t people lying and missinforming pilgrims along the Camino, there wouldn’t be that suspiction from pilgrims and they would not get these shocks. Pilgrim, don’t let yourself be missinformed, and if you find that you have been, inform about it in public. 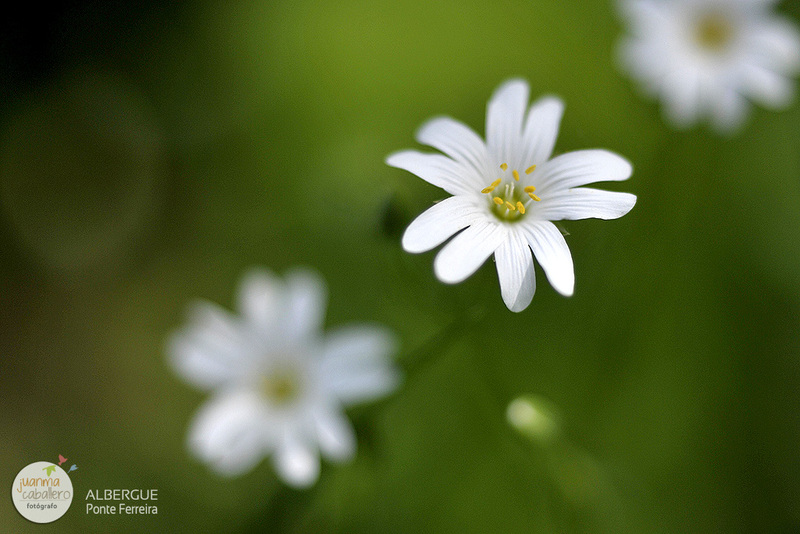 We want to show you a little bit of the beauty of Ferreira’s early Spring, in the surroundings of Albergue Ponte Ferreira. If you’re walking the Primitive Way of Saint James and you come and visit us, we’ll share all this with you. We’re waiting for you! Some Camino online guides place us in Palas de Rei. Is this correct? 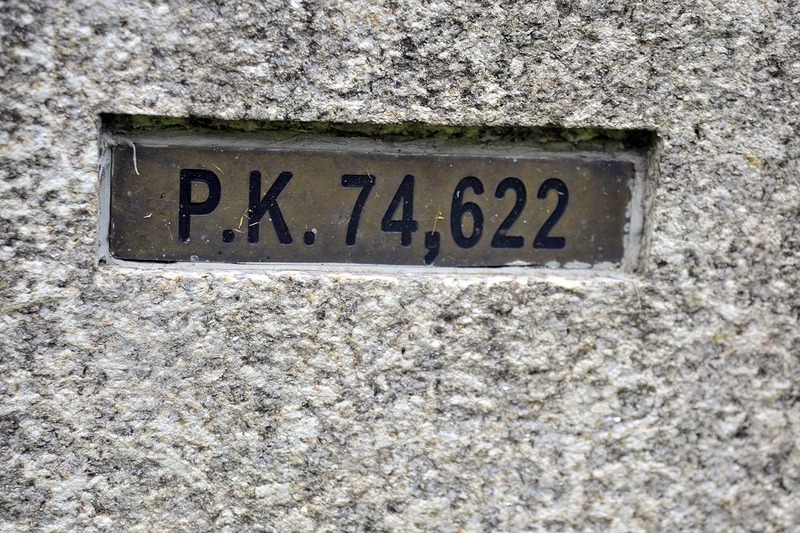 Yes, but it drives pilgrims planning their Camino Frances into mistakingly booking their night with us: yes, we belong to the Concello of Palas de Rei, but NO we are not in the actual town of Palas de Rei, and thus WE CAN NOT HOST PILGRIMS ON THE CAMINO FRANCES. If you are planning your Camino Frances stages, please don’t book with us. Buen Camino our friends, we will be waiting for your visit on your next Primitive Way! Today we had the visit of our friends from ADAYEUS, who stopped for lunch with us in their Primitive Way to Santiago. It was nice sharing some time and laughs with them! 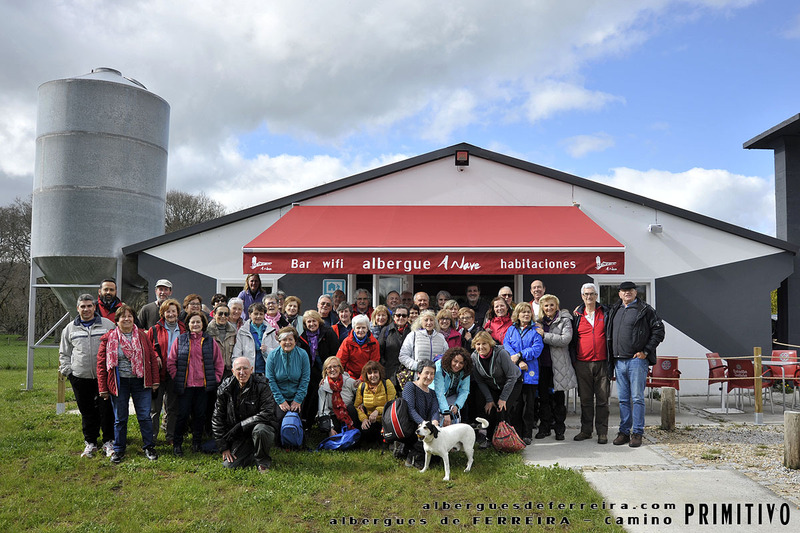 Edited April 28th 2014: ADAYEUS has updated its website to include information about the route of the day they had lunch in our albergue! 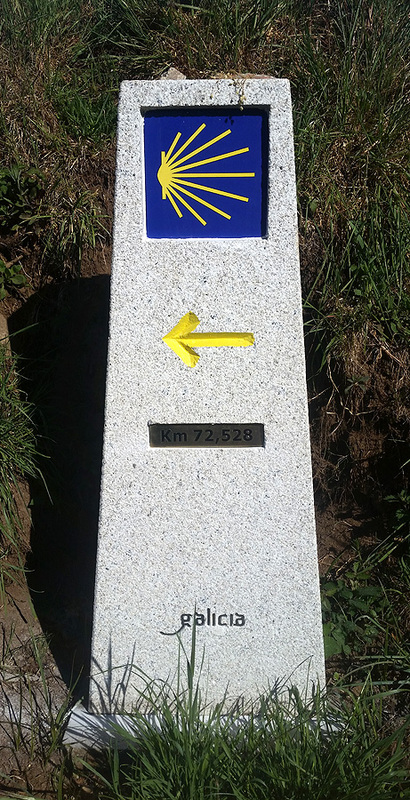 : https://asausac.wordpress.com/camino-de-santiago/camino-de-santiago-primitivo-2014/6o-etapa-san-vicente-do-burgo-vilarmaior-de-negral/. Thank you for your kind words our friends! 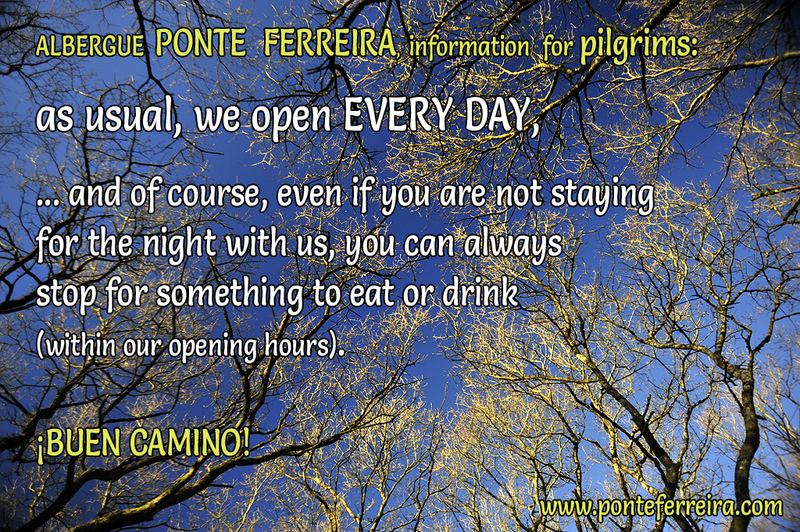 Dear pilgrims, just a short notice to remind you that this year 2014, from March 15th to November 15th, ALBERGUE PONTE FERREIRA IS OPEN EVERY DAY, without exception. If you hear the opposite, do not hesitate to call us in order to confirm: you can call us on +(34) 616161594 (also Whatsapp and Line available) or on +(34) 982036949. You can also email us at hola@anavedeferreira.com. And you can also send us a message through our Facebook site, although you should only use the last two methods if your are at least a week ahead of your planned stay with us, as they are not so fast communication methods. 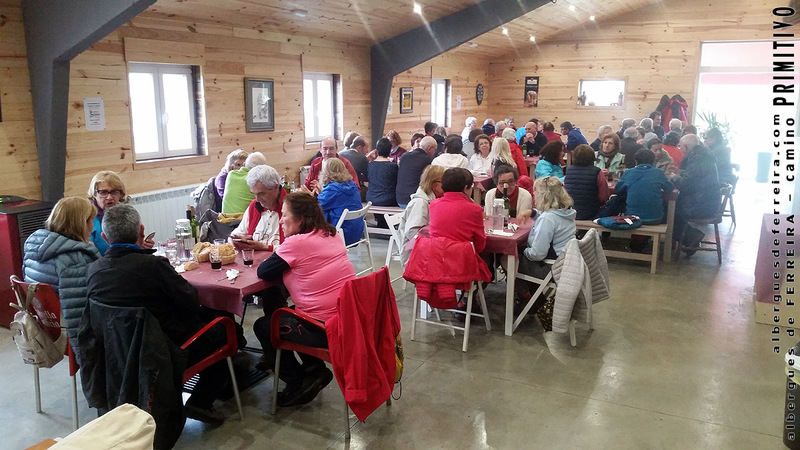 Today we had 36 pilgrims for lunch at Albergue Ponte Ferreira: they are walking the Primitive Way in a pilgrimage organized by their Association, the Asociación de Amigos del Camino de Santiago de Estella (Navarra, Spain). This association is the most ancient one in Spain in relation to the Way of St. James, and only one other association in the world is older than them: the Société des Amis de Saint-Jacques de Compostelle de París. Here are some images and a video of Matthew Mutch‘s performance last night in Albergue Ponte Ferreira. Matthew is doing his fourth Camino, and he sang some of the songs from his soon to come new album. We hope you enjoy it as much as we did!